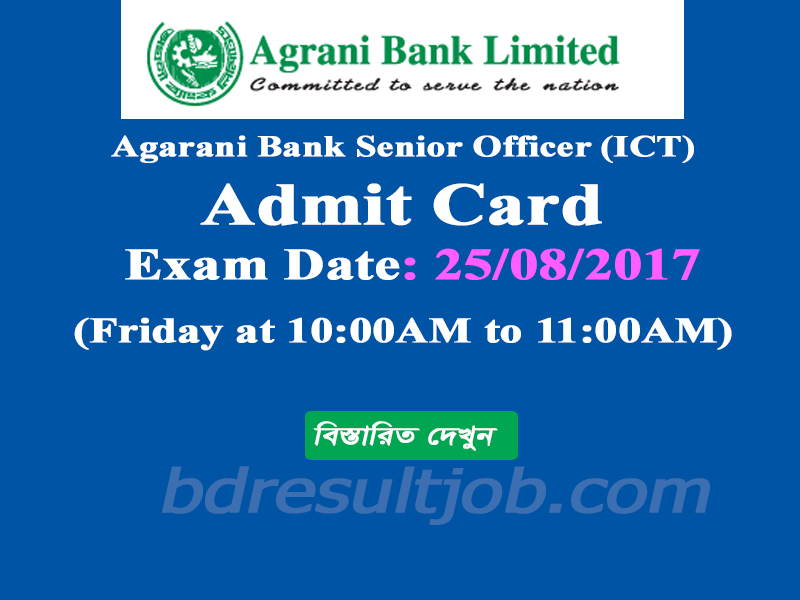 Agrani Bank Limited published admit card for Senior Officer (ICT) Written examination will be held on 25 August 2017, Friday, 9:00am to 11:00am. Exam venue: Ahsanullah Science and Technology University, Tejgong, Dhaka. 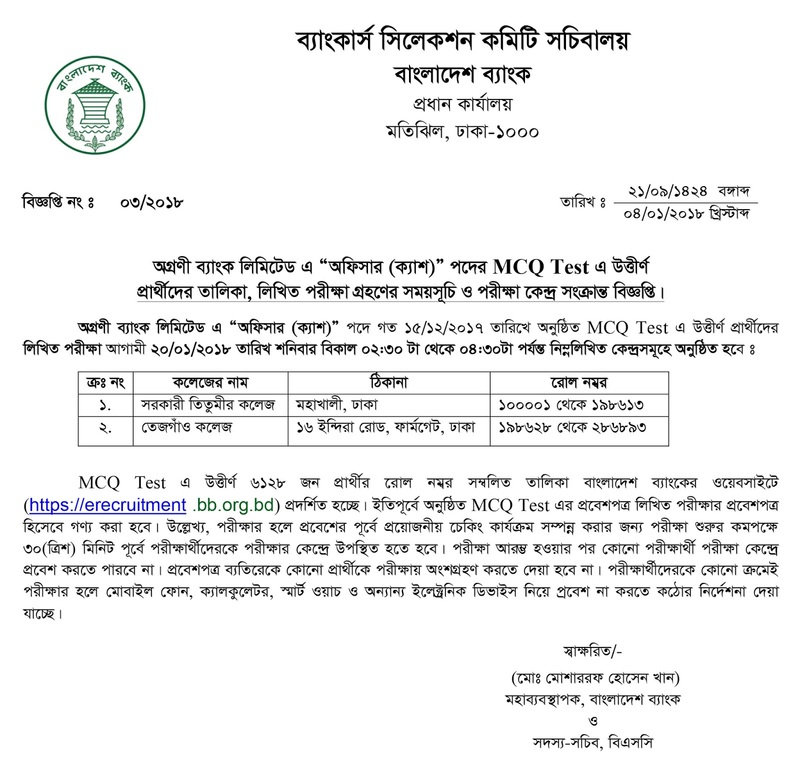 Every applicant download can their Bangladesh Bank Recruitment Website https://erecruitment.bb.org.bd/onlineapp/print_admit.php form Bankers Selection Committee of BB. Exam Center: Bangladesh Bank Main Building, 4th Floor, Motijil, Dhaka. 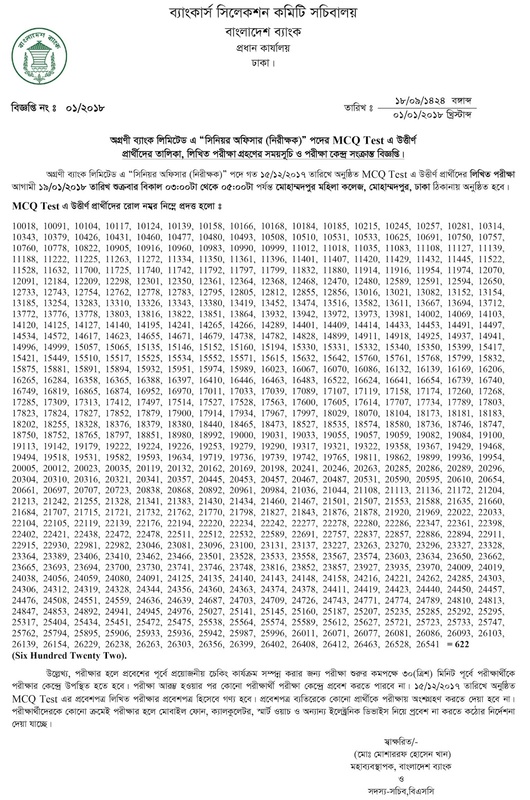 Tracking Number start with 10011 for the post of Senior Officer (ICT) of Agrani Bank Limited in eligible to download admit card for MCQ test written examination. 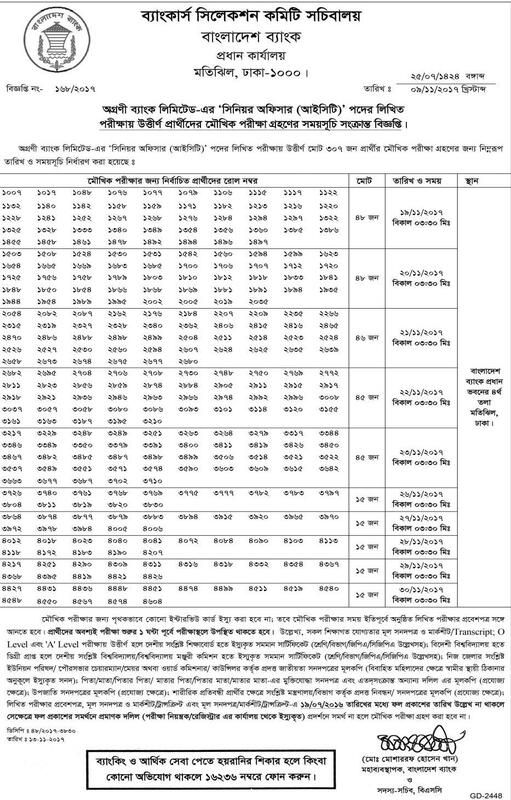 Agrani Bank will be published as soon as possible publishe the result of Bangladesh Bank Recruitement website http://erecruitment.bb.org.bd. Also Agrani Bank official website www.agranibank.org published. 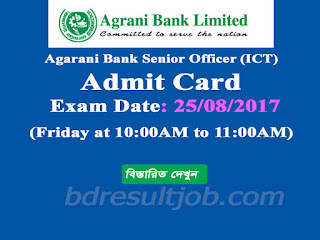 Tags: agrani bank admit card download 2017, agrani bank senior officer admit card 2017, agrani bank senior officer exam date 2017, agrani bank admit card 2017, agrani bank career, rupali bank exam date 2017, www.erecruitment.bb.org.bd agrani bank, sonali bank admit card download.